On this tour, you’ll see some amazing scenery and natural wonders, including Iguassu Falls, located on the border of Brazil and Argentina. See the falls from both sides—with their thunderous roar, torrential downpour, and brilliant rainbows. Everywhere you look, there is water pouring down! Words cannot describe the sheer wonder of the falls! But that’s not all…you will stay at the famous Belmond Hotel Das Cataratas just steps away from the falls inside Iguassu National Park! Even more beauty awaits you in Bariloche, which boasts some of Argentina’s most glorious scenery. Take a chairlift ride to a lookout point at Cerro Campanario, rated one of the top 10 viewing spots by National Geographic. Experience breathtaking panoramic views and breathe fresh mountain air. Finally, enjoy the spectacular scenery as you cross the Andes Lakes by boat. In addition to beautiful scenery, you’ll also experience the vibrant cities—Rio de Janeiro, Buenos Aires, and Santiago—and enjoy a guided sightseeing tour in each city. A highlight of any trip to Rio is the Christ the Redeemer statue, the 98-foot statue of Jesus that was elected a New Seven Wonders of the World. You’ll take a scenic cog railway to the top of Corcovado Mountain, where you can admire 360-degree views of the city. In Buenos Aires, stroll the streets of this friendly town and experience a Tango show—a passionate, sizzling dance. You’ll even have the chance to dance the Tango at a lesson! Outside of Buenos Aires, visit an estancia (ranch) to learn about the life of gauchos (cowboys). 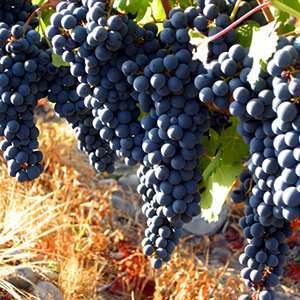 In Santiago, you will visit one of Chile’s famous vineyards in Chile’s wine country. Welcome to South America’s largest and most populous country. This afternoon, meet your Tour Director and fellow traveling companions for a drive along famous Ipanema and Copacabana beaches to the base of 1,300-foot-high SUGAR LOAF MOUNTAIN. Ascend by cable car to its summit, where you can savor spectacular vistas of the city. Next, toast the start of a memorable vacation with caipirinhas, a favorite Brazilian cocktail, from atop Sugar Loaf Mountain during a COCKTAIL PARTY. Today, visit the statue of Christ the Redeemer crowning CORCOVADO MOUNTAIN, a rounded peak rising 2,300 feet from the bay below. Take the scenic cog railway ride to its top, where a 360-degree panorama affords sweeping views. Proceed to bustling downtown Rio and view the Sambodromo and visit the CATHEDRAL. Later today, you may wish to join an optional trip to a local favela, where you can see a different perspective of life in Brazil. This evening, it’s off to a CHURRASCARIA for a feast of barbecued meats marinated and roasted over charcoal in true Brazilian style. 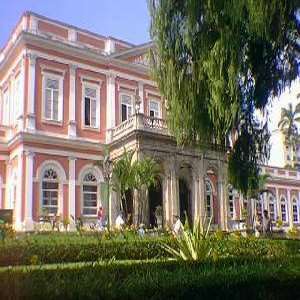 A day of leisure or you may consider an optional trip to historic Petropolis, once the former summer palace of Emperor Dom Pedro II and now a mountain resort. A flight from Rio takes you to IGUASSU FALLS. Experience the clouds of spray, the incessant roar, and the surrounding luxuriant tropical growth that make this an unforgettable natural wonder. Head into Brazil’s Iguassu National Park to explore the magnificent panorama of waterfalls from the Brazilian side. Your Local Guide introduces the spectacle of this 2-mile-wide torrential downpour, with some cataracts as high as 250 feet, which is nothing short of hypnotic. 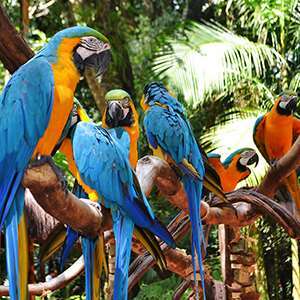 Today, journey to the Argentine side of IGUASSU FALLS, where you will take the ECOLOGICAL JUNGLE TRAIN and enjoy a closer perspective on a walking tour of the falls. Meander along the walkways from atop the falls, and enjoy an exhilarating perspective looking over the precipice of the falls as the water plunges to the rocks below. You will also have the chance to walk through the rainforest on the lower falls trails that will bring you up close to some of the smaller cataracts. Return to the hotel, where the remainder of the day is at your leisure. 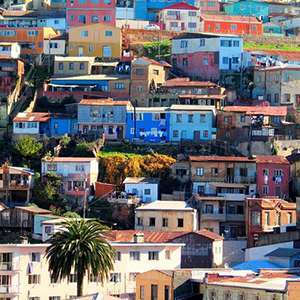 Your sightseeing starts in La Boca, a colorful district and site of the city’s first port. Take a short walking tour of this unique neighborhood and then on to San Telmo, famous for its late-colonial buildings and a popular gathering spot for artists. At Plaza de Mayo, see La Casa Rosada (the President’s Pink House) and the METROPOLITAN CATHEDRAL, housing San Martin’s Mausoleum. Drive past the ornate Colon Opera House before reaching RECOLETA CEMETERY, burial site of Eva Perón. Next, learn how to make a traditional Argentinean dish during your EMPANADA COOKING CLASS. After an afternoon at leisure, top off the evening at a famous TANGO CLUB. Start with a DANCE LESSON, followed by dinner of Argentine steaks and other local specialties, and end with a show featuring flawless performances of Latin America’s most sensuous dance—the Tango! Today, head into the heart of the pampas (grasslands) and immerse yourself in the atmosphere of rural, country life at a working ARGENTINE ESTANCIA (ranch). After a traditional welcome with empanadas and local beverages, get acquainted with the lifestyle of real gauchos (cowboys) on a horseback ride or carriage ride through the pampas. Later, at lunch, enjoy a colorful feast, complete with world-renowned Argentine beef, salad, desserts, local wine, and live music and dance by the gauchos themselves. Top off the day with a horsemanship show by the gauchos before saying adios to the countryside and heading back to the city. Fly south to Bariloche in Patagonia on the shores of fjord-like Lago Nahuel Huapi in the heart of Argentina’s Lake District. Arrive in the early evening, with time to enjoy a leisurely stroll through the picturesque town center. See the city hall, the clock tower in Municipality Square, and the famous chocolate factories. This chic alpine resort boasts some of the most glorious scenery in the country. Cameras should be ready for today’s guided sightseeing including a chairlift ride to a lookout point at CERRO CAMPANARIO. You’ll want to capture the vistas of surrounding lakes and Andes mountain peaks. 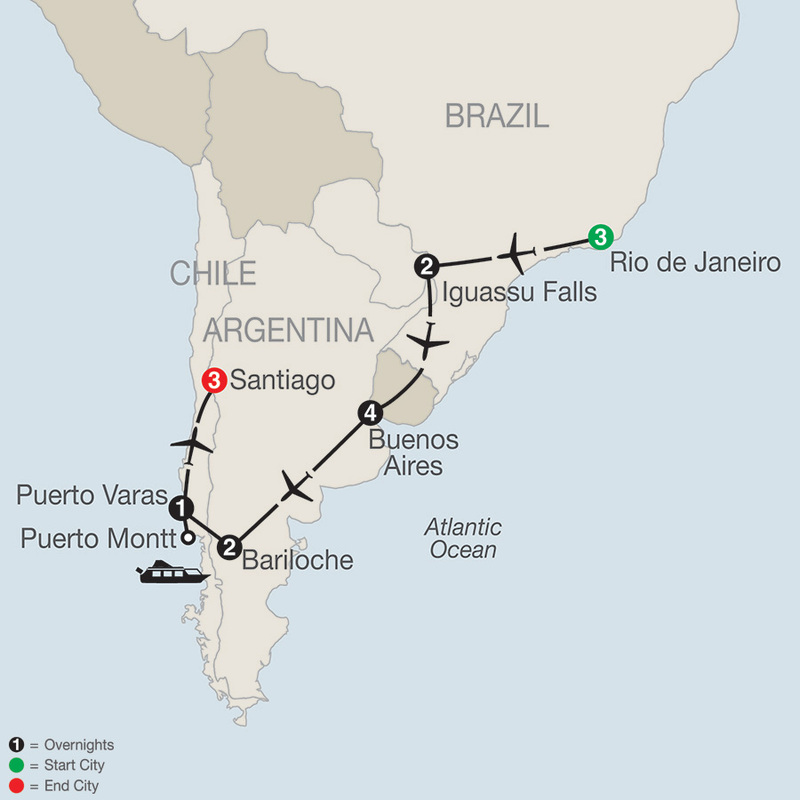 The tour continues with a leisurely drive around the Llao Llao Peninsula, Lago Moreno, and Lopez Bay. Set out today for your ANDES LAKE CROSSING! Board a boat for the CRUISE across Lago Nahuel Huapi to Puerto Blest. Proceed by motorcoach and see emerald lakes, thick pine forests, and the snowcapped peaks of the Andes Mountains. 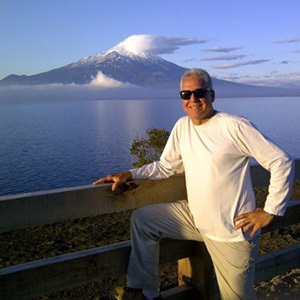 Look out for soaring Osorno Volcano as you cross Lago Todos los Santos by CATAMARAN. Skirt the southern shore of Lago Llanquihue on the way to Puerto Varas. Drive to your hotel along the rosebush-lined streets of this lakeside resort. Your morning tour of the nearby seaport of Puerto Montt in Chilean Patagonia takes you to the harbor brimming with fishing vessels and along a busy waterfront lined with seafood stalls. Transfer to the airport for your flight north to Santiago. Perched between the Pacific Ocean and the Andes, Santiago has evolved as the country’s political, commercial, and cultural capital. Tonight, dinner is at the hotel. Today, your Local Guide traces the city’s history and heritage on a guided city tour. Start at La Moneda, the official Government Palace, before heading to the Plaza de Armas, the main square, with a visit to the 18th-century CATHEDRAL. Continue into Chile's nearby wine region and visit one of Chile's oldest wineries, CONCHA Y TORO. A guided tour uncovers the vine-to-wine process that produces some of the world's finest wines. This evening, you may opt to join a Chilean folkloric dinner show. The day is free for independent activities. 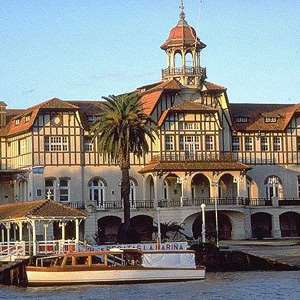 You may want to take advantage of an optional excursion to the beautiful coastal region west of Santiago. Drive through the hills of Chile’s wine country to the historic port of Valparaiso, and continue along the coast to nearby Viña del Mar. Tonight, your Tour Director hosts a special farewell dinner to celebrate a great touring adventure. A visit to Vinolia offers an immersive Chilean wine experience including lunch paired with unforgettable tastings of great wines.